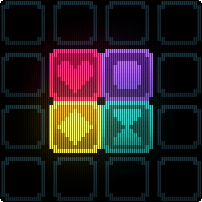 Today's Pixel Love choice is Glow Grid! Glow Grid is a simple match-4 game which has been executed very well with great aesthetics and sound design. The simplicity in the designed elements helps frame, and doesn't draw away from, what your objective is. It is a very addictive well made little game. Have fun Nitromians! We'll bring you more Pixel Love next week! Hi Nitromians, well Silly Sausage seems to be doing great in the charts on iOS after another great feature from Apple. The press seem to be digging it too with Touch Arcade giving it 4.5/5 and Pocket Gamer giving it 9/10! Horray! We thought we would end the week though with Lonnies coverage of the game which is as ever hillarious. Silly Sausage on iOS: Click Here! Silly Sausage on Google Play: Click Here! Silly Sausage on Amazon: Click Here! we have seen a few articles now about our new Silly Sausage game and what people think is the insperation behind it. Most commonly it has been called a cross between Snake and Rovios Retry. Retry was certainly an insperation for the restart element of the game (and it is also a great game that we chose in our Indie Showcase picks) but it is not really an insperation for the main mechanic in the game. Snake was certainly an influence to the game mechanic but there is a greater influence and we felt we should highlight it as it is also a great game. 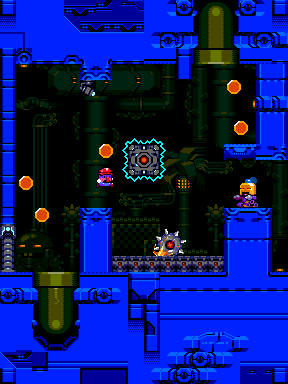 James Pond 2: Robocod was a huge influence to the mechanic. The game is a platform game but in a twist you can stretch your body upwards until you hit a surface(which you can also grab onto). Unlike Silly Sausage you can't turn while stretching and thats where Snake comes in. 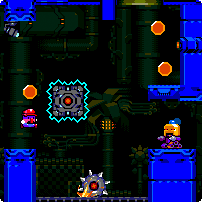 So the premise really was what if you could stretch your character like Robocod but could make turns like Snake and we would then not need the Platforming element. Well we have been a bit busy today and totally forgot to actually announce the game was out on the blog and social. So if you didn’t notice everything else that went on, the game is now out on iOS and Google Play and on Amazon first thing tomorrow (sorry we were waiting for an update to go through their system so minor delay). The web version of the game should be along shortly too in both WebGL and Unity Player formats. 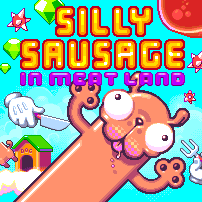 Big news our next game Silly Sausage in Meat Land will be hitting app stores this Wednesday! Yes you heard that right THIS WEDNESDAY!! (cue epic echo sound). We held off on telling you as we made a last minute change to the app which because of submission times might have meant it was delayed a week. Thankfully that has turned out not to be the case. Silly Sausage is like a cross between Mario world and Snake…well that’s about as close a comparison as we can make to anything. The game will also be hitting the website though there will be a bit of a delay. This will be the first of our Unity made games which we will be providing in both Unity Player and Web GL formats. This should really up the compatibility of the game for any of you that have been having issues in the past but were still setting it up so that’s the main reason it is running a little behind. Oh and you might want to check the fancy new trailer. If you read this far and didn’t click already please do so... wait for it... now! 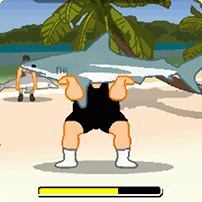 Today we have chosen Shark Lifting 2 as our pixel love game choice! What made this one stand out was its absurd yet awesome premise of... well... lifting sharks! This game is broken up into sections of mini games in which, over time, your lifting prowess is tested to the max. We like the nod to Street Fighter 2 in the opening graphic user interface design. This one is a lot of fun with some great music! Have fun everyone, we'll bring you another Pixel Love Game next week! Hot on the heals of Platform Panic being Apple's Indie Game Showcase it seemed a perfect time to reveal that we have been working on the games second major update! This update is in fact even bigger than the first and focus on the rooms themselves adding new background art and new traps! we're thrilled to announce that Apple has once again blessed us and picked our Plaform Panic game for their Indie Game Showcase! 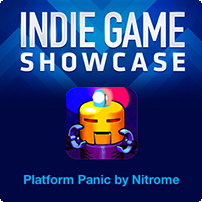 It is a real honor to have been picked for the Showcase which features not only Plaform Panic but all of Nitromes games and a list of other games chosen by our good selves that we think you should check out. This week we have chosen Range Man by The Village Blacksmith as our Pixel Love game choice! We have featured The Village Blacksmith's work before with Recursion, another great game. The art style in this one has a similar look and feel. 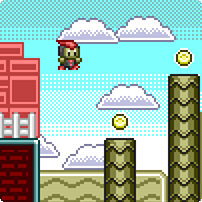 Use enemy for some extra air in your jump and to get to hard to reach platforms/areas. Avoid the spikes. This is a clean uninterrupted take on the classic platform genre. A really refreshing fun to play little title. Have fun everyone, we'll bring you another Pixel Love choice next week! 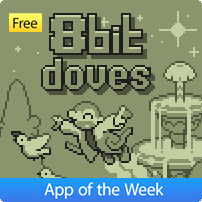 Apple have picked our game 8bit Doves as their Free App of the Week! So in case that wasn't obvious enough people with iOS devices that have not been so kind as to download it already can for the next week do so for gratis! No catches, no Ads and no iAP just FREE!!!! Go now our freeloading fans and grasp some Gameboy(ehem Nitromeboy) greatness while you still can! Back at the end of 2014 we had an idea for a small game that we were calling 'Feeding Time', so we started to develop the engine and draw the characters... now we're mid-March it's all changed many, many, MANY times! Now the game is nearing completion we thought we'd share with you a little nibble of what you can expect. We think the development journey whilst has been far longer than we expected, is actually quite interesting and we will share with you different sides to the design adventure as we near the release. You are the new bird in a caged environment, all the other inhabitants have gone a bit loopy, they've just been cooped up too long! 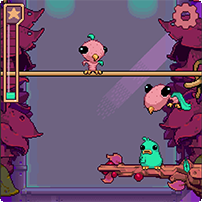 You must survive by twanging between the perches and maybe snack on a few bugs along the way! 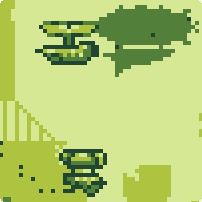 This week's Pixel Love game is Tiny Airships! 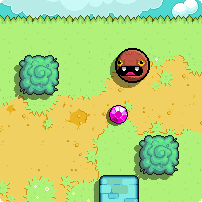 If you are a long time player of our pixel love choices, you probably know by now that we absolutely love Game Boy styled graphics and the colour palette. This game really stood out to us with it's great pixel art and style. Have fun Nitromians, we'll bring you another gem next week! Go SUPERSIZE! With Silly Sausage our latest game coming to a device near you. 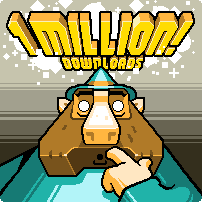 We're thrilled to announce that within it's first week Magic Touch had over 1 million downloads on iOS (1.1 million to be more accurate)! That makes it already our most downloaded free game on mobile so far and we are super happy it has gone down as well as it has. We mentioned a few days ago that we had a little surprise for our browser audience coming. We realise that with Magic Touch sadly not being available on the website, that it has left a bit of a gap in our release schedule. Hopefully that shouldn't be for too long, but we have also been far too aware for a long time of repeat comments asking about our unreleased game, Fluffball. Fluffball was a game that was made all the way back in 2007 under a deal that we had with Miniclip. We finished the game and Miniclip posted it on the back of their site but both parties agreed that we weren't happy with the finished game. The game stalled at this point and after several revisions the game was never officially released. This is the last version of the game that we made which attempted to re-jig the controls heavily turning it from the original mouse based controls to keyboard controls. We were still never satisfied with the end result but as there is clearly an interest, we felt this would be a good time to lay it to rest. 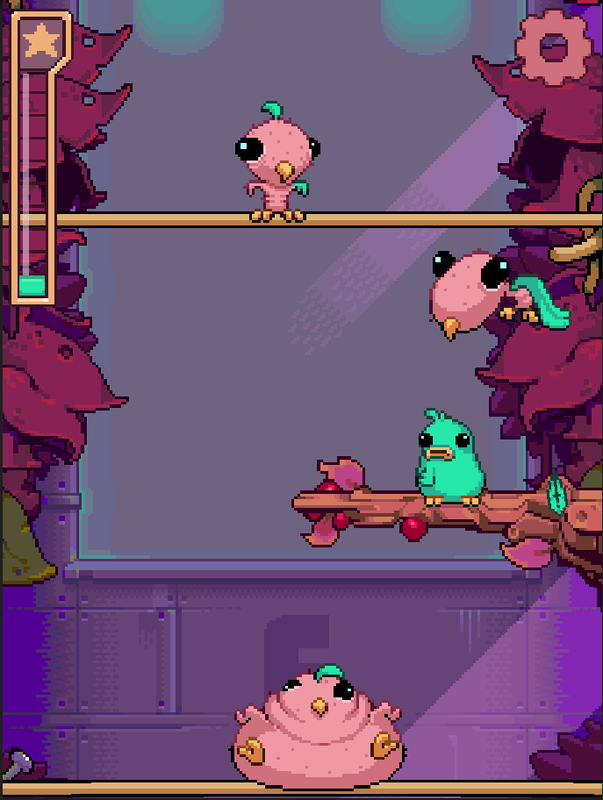 So without further ado, you can play our unreleased (ahem.. now released) Fluffball game, fresh out of stasis! So what do you think... were we right to keep it unreleased? Answers in the comments below and have fun... or don't... we'll see!